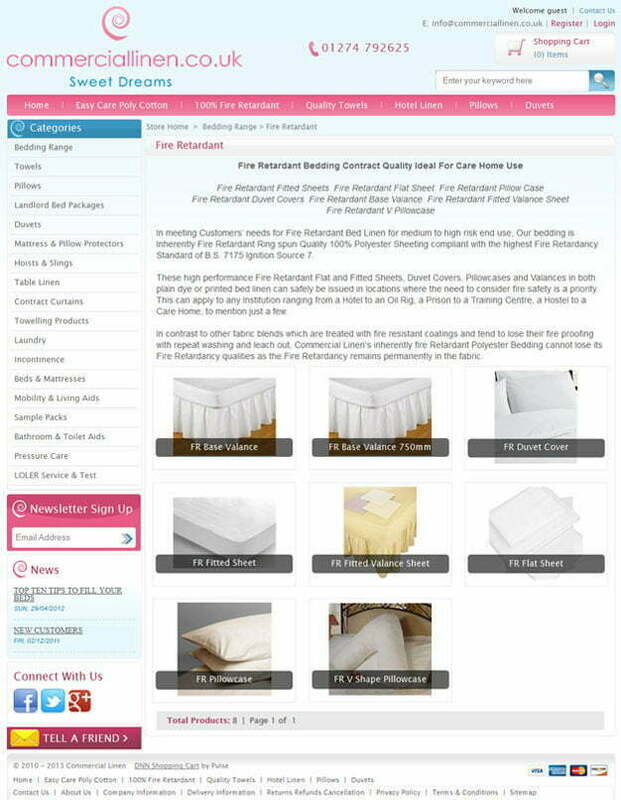 Commercial Linen supplies wholesale linens for Health Care homes, Hotels, Landlords, and Prisons, sourced from reliable UK suppliers for British manufactured linens or the best quality imports when needed. Providing a high level of service and great savings for loyal patrons since 2010, Commercial Linen is known for quality products that are easy to care for but durable and dependable with fire retardant, waterproof and MSRA free stock available for most products. The Bedding Range covers pillows, double, single and fitted sheets, beds and mattresses with waterproof protectors, and duvets. For luxury hotel linen there is the Percale range available in matching sets of sheets, pillow cases and covers with a 200 thread count of 50/50 polycotton to match the bedding size requirements. There are towels and towelling products, laundry, contract curtains, soft furnishings and table linen for the Hospitality industry and hoists, slings, pressure care, mobility and living aids, bathroom and toilet aids, and incontinence products for Care Homes. Special sample packs and Landlord bed packages guarantee a complete range of services for any field requiring quality linen. 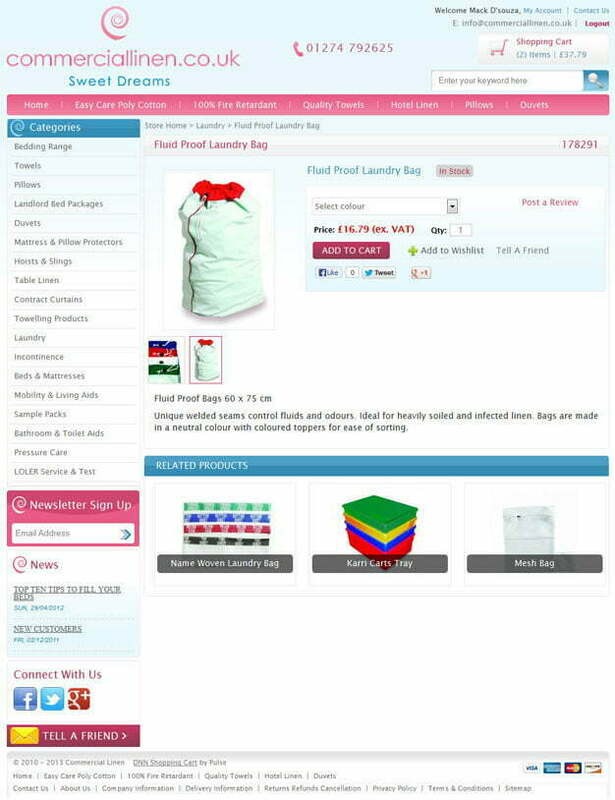 To be able to keep up with orders, payments, and fast processing, Commercial Linen required the best E-Commerce turn-key technology available in the market that could support any number of products and categories using multiple payment gateways. 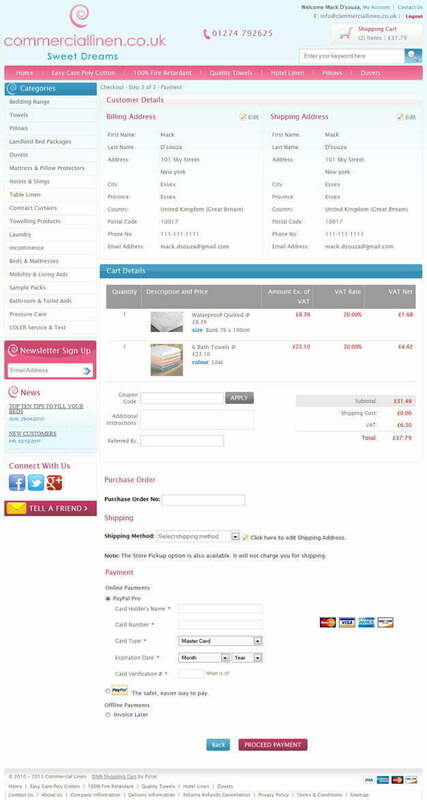 The Pulse DNN Cart was a perfect match in both quality and usability, meeting all their requirements and yet flexible enough to enable Commercial Linen to control the continued management of updating products, categories, orders and inventory. 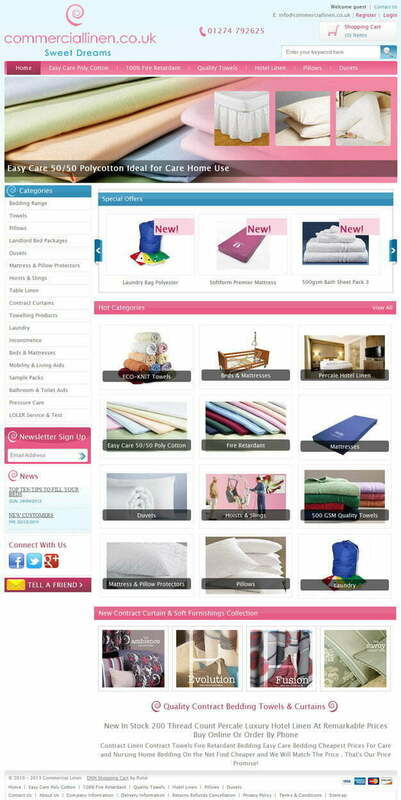 Pulse provided a professional ecommerce enabled shopping cart that integrated with the Commercial Linen site to enable ease of searching and buying any of their products. Having such superior service as the secure transactions and processing, was able to increase both their sales and the efficiency of services, upholding their reputation as a trusted supplier of linen goods.